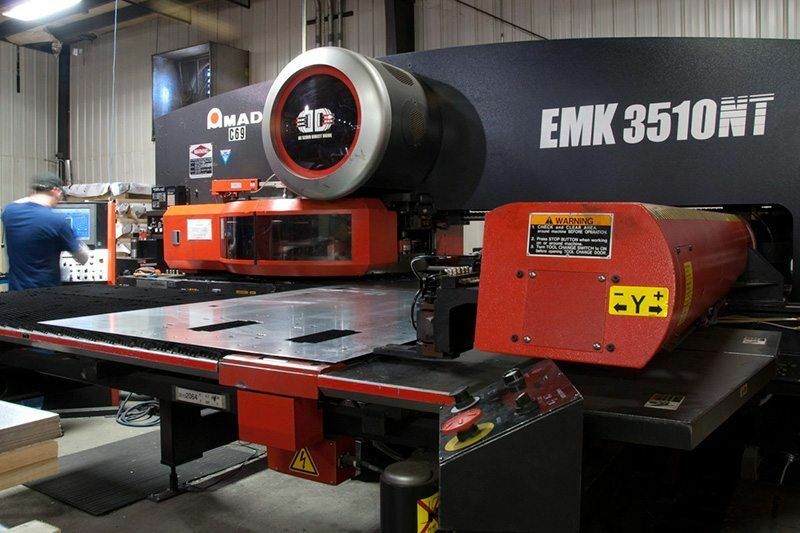 Our state-of-the-art CNC turret punches are great for blanking out metal parts where special forming such as dimples, louvers, lances and more are needed. 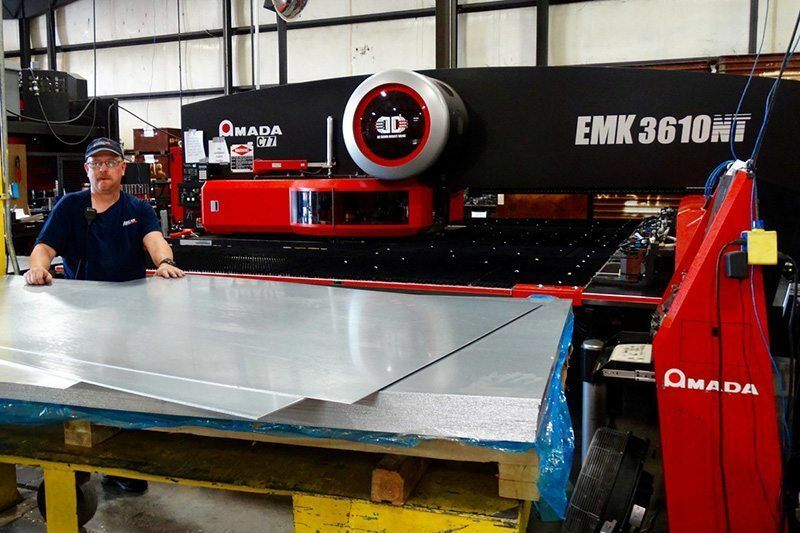 Our turrets accept up to 60” x 96” sheets and hold 56 turret tools per machine. 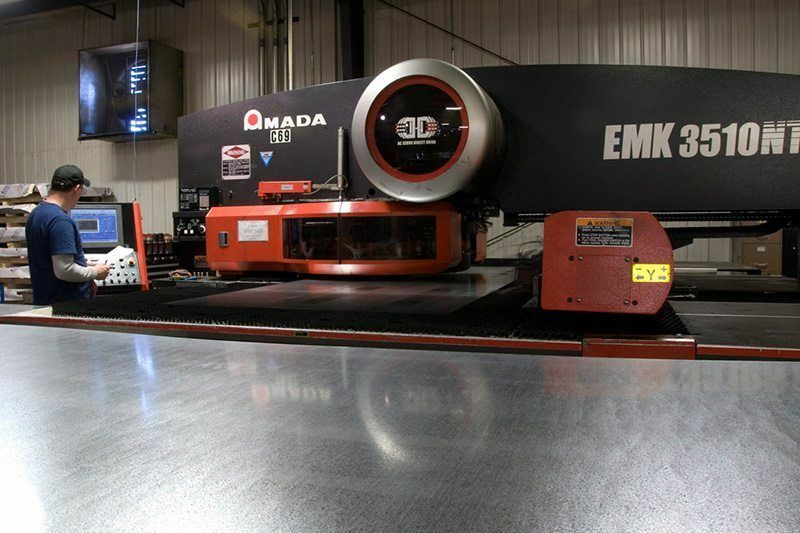 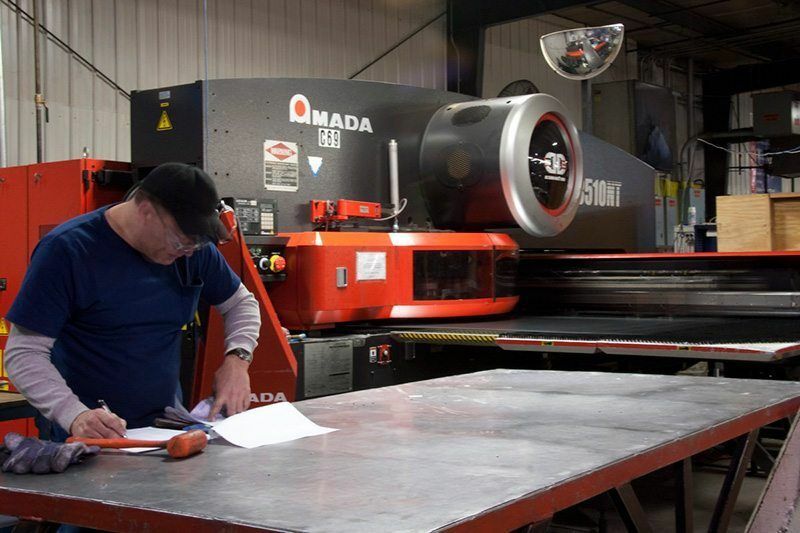 American Products has an Amada Vipros 3510Nt Turret Press, an Amada EMK 3510Nt Turret Press and multiple Amada Vella 2 Turret Presses.